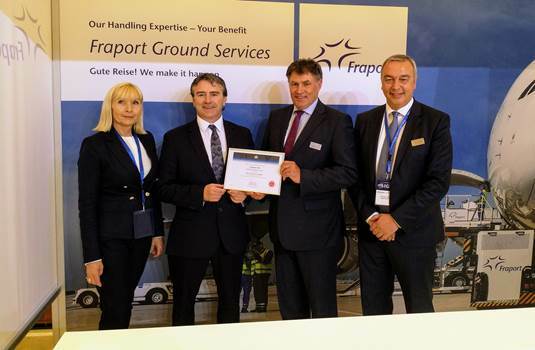 Germany’s largest airport operator, Fraport, has been heavily criticized during the past couple of years for what many saw as a lack of interest in cargo handling at Frankfurt, as well as increasingly high costs for cargo handlers which are not directly ‘ramp-side’ located. There seems to be a new wind blowing through old halls in FRA as developments of the past couple of days show. This is an important step forward for Frankfurt Airport which is competing with others within Europe to gain the position as a preferred pharma handling location for the vaccine, drug and medicine business. The airport is no newcomer as far as handling temperature-sensitive goods is concerned. It was about 20 years ago that the ramp handling division began operating a so-called transporter vehicle which was at that time especially designed for ramp transport of such temperature-sensitive shipments. Having now received also CEIV certification for ramp handling and transportation, Frankfurt could possibly position themselves at the front of the queue. 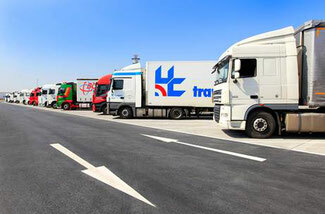 Truck queues and long waiting times at Frankfurt’s Cargo City South (CCS) may well become something of the past. A subject which has annoyed shippers, truckers, airlines and cargo handlers for many years. Nobody seemed to be able to get control on this and the result was that quite often chaos reigned in the CCS, resulting in many shipments not being flown as booked. Now, LUG aircargo handling (LUG) and Frankfurt Cargo Services (FCS), who are the two largest cargo handlers at the airport, have joined forces to introduce what they term as a ‘Mandatory Truck Slot Booking System.’ This new system will apply to both deliveries and pick-up of cargo at both company’s warehouses at the airport. The new system which will come into effect on May 15th, was put together by LUG and FCS in cooperation with the Freight Forwarding & Logistics Association (SLV) and Fraport AG. When started on May 15th, this means that only trucks which have been booked a loading or unloading slot in advance via the FRA Airport ’Fair@Link Door Management System’, will be allowed to actually drive to the FCS or LUG loading docks. Those drivers who have no booked slot will be forced to register at a prearranged computer terminal and can only hope that they’ll receive an allocated slot in time to meet their client’s deadlines. One can only hope that this system will become fully effective as the airport’s CCS faced a lot of flak towards the end of 2017 where due to the massive amount of cargo passing through and the long waiting times, that some airlines were seriously considering running flights from other less congested airports. In other news, Fraport has recently stated that they will carry out a joint study with IATA and run tests this summer on introducing what they term as a ‘Virtual Reality Training Tool’ for ground operations at FRA. The three-month pilot phase in which around 100 Fraport ground operations employees will be trained by using virtual reality (VR) glasses is aimed at looking at whether the airport can determine whether VR technology can improve future operational training. Welcome to the space age Fraport!